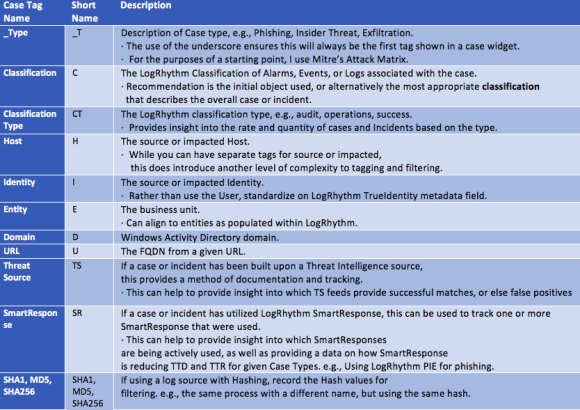 LogRhythm’s built-in Case Management provides end-to-end threat lifecycle management, but in order to maximize efficiency and provide key performance indicators (KPIs), a case tagging schema needs to be chosen and implemented. Without a standardized schema, WebUI users may make up their own tagging schema, or not use tagging at all—both of which can lead to a lack of visibility. 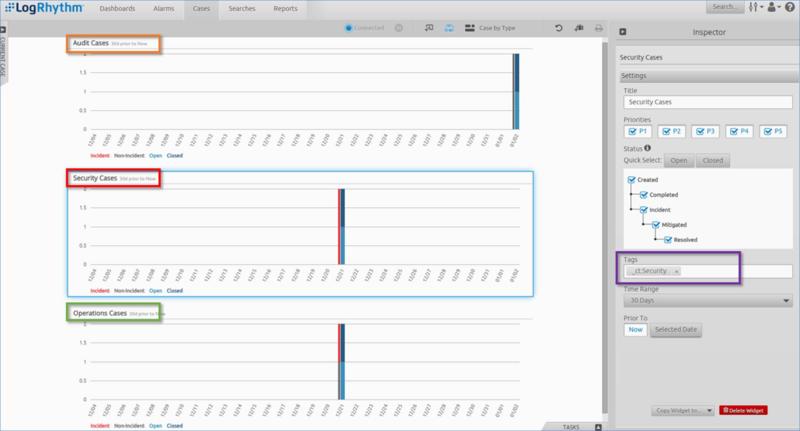 Make use of a tagging attack type to accurately report on the most common attacks the enterprise faces. Include a SmartResponse tag to show which SmartResponses are most frequently used. Employ a threat source tag to understand if your threat intelligence sources are generating successful matches or false positives. Without a tagging schema, such as that listed above, many business security insights can be a challenge to obtain visibility into. 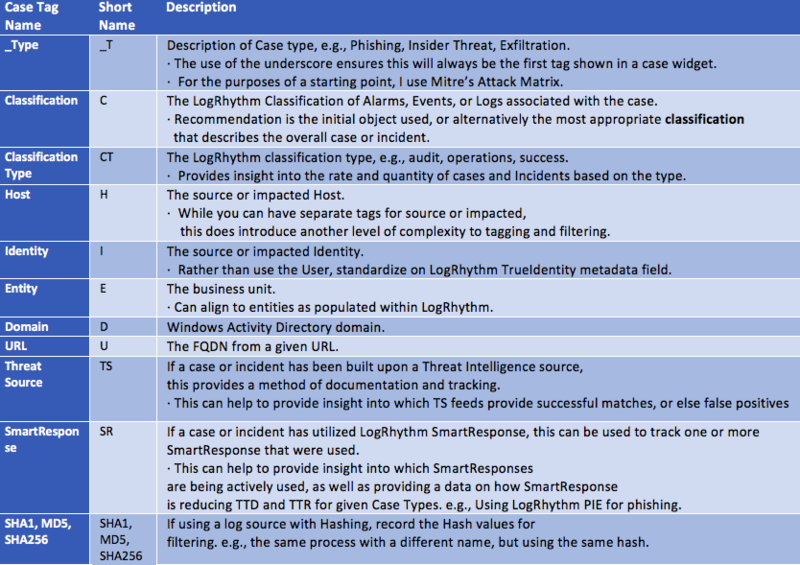 Case tag taxonomy isn’t something new, it is simply collating security best practices with business output requirements from the security business unit. 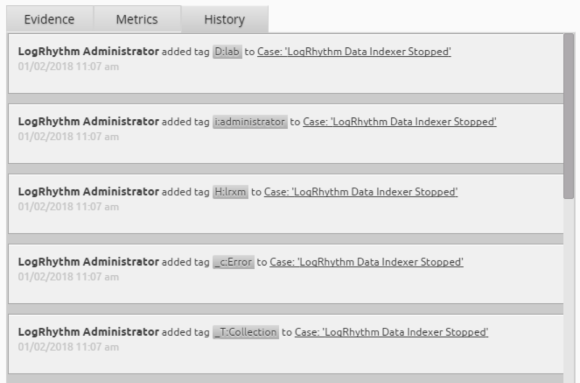 LogRhythm Case Management comes with a powerful tagging system, but how do you design and standardize a schema to best make use of cases? The following example will help get you to implement strong case taxonomy and obtain demonstrable business value. Case tags can be used for filtering closed or open cases. Below, you can see an example of applying a filter for all audit cases using the Tag _ct:Audit. Multiple tag filters can be applied. You can filter this example further to zero in on cases pertaining to a given business entity, host, or even user. This filtering only works if you have been appropriately tagging cases. Tags can also be reported within the LogRhythm Reporting Engine and exported either as PDF or to CSV for external data analysis. All activity within a case is audited, including tags. 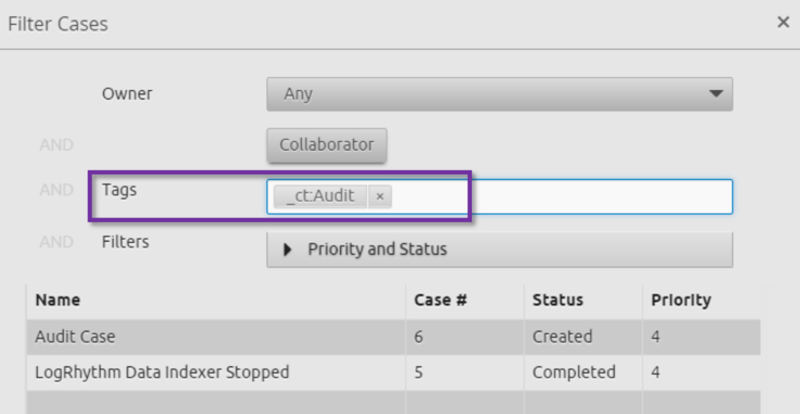 The extended case tagging schema enables you to discover detailed activity, such as when one case was added or removed from another case. Abbreviating case tags is a great to make the most of the WebUI’s screen real estate. Rather than using full key name, such as Type, Domain, Entity, the below example just uses the first letter of each word. Another best practice is prepending the most important fields with an underscore. Case tags are sorted in alphabetical order, so an underscore at the beginning of a tag will allow it to appear first in the list—such as the case with the below Type (_T). Finally, if you do need to see more details than are visible on the case panel, you can easily click into the case itself and see full tag data. LogRhythm’s case tags provide a powerful workflow and ensure accuracy of case management. 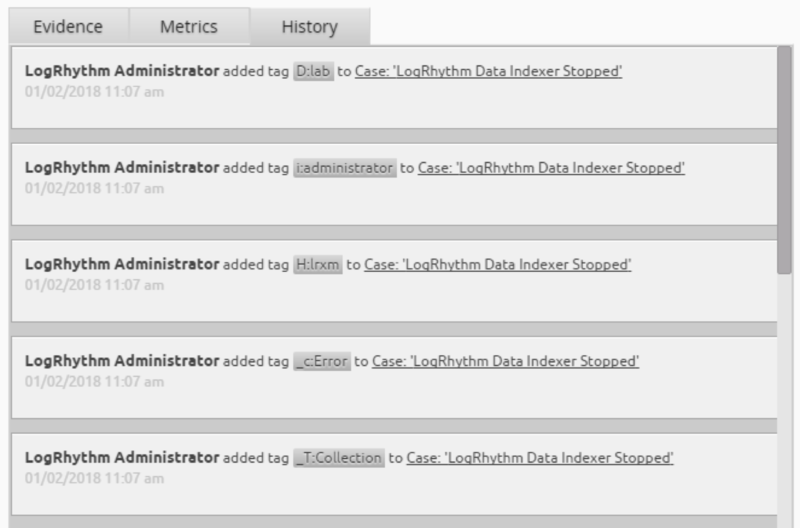 They also provide KPIs of the services being delivered by the LogRhythm TLM platform. To start utilizing case tags and obtaining demonstrable business value, you simply need to implement a tag taxonomy.